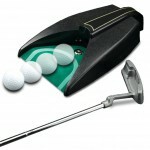 The Proactive Practice Stick Ball Retriever is a must have golf training aid. This simple yet effective golf ball shag tube takes the backache out of practicing your short game. 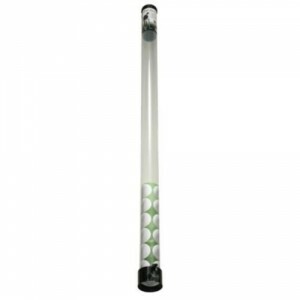 The clear tube holds 23 balls and has an easy click lever mechanism to secure and release the balls. This lever, which you can trigger either with your hand or foot, also allows you to “unload” the tube exactly where you want to. Whether you want to release one ball or all twenty three it’s as easy as press and release. For many people practicing their short game is an exercise of tedium. Picking up the balls all over the chipping range is a tiring, back-breaking annoyance. In the end, it is just more fun to go hit the big stick and let the grounds’ crew gather the balls. So many golfers just head to the range and don’t spend enough time on their chips and pitches. This is a huge mistake. While your drive and iron game are important, most players can shave a greater number of points off their handicap by spending time on their short game. The Proactive Practice Stick Ball Retriever encourages you to spend more time practicing your short golf shots by taking the hassle out of gathering the balls. With this aid you never have to bend down again while practicing your chipping and pitching. More comfort, less hassle and more convenience means more enjoyment and time practicing your short game! Another great aspect of this shag tube is it is highly portable and fits easily within most golf bags. We would suggest that you leave the tube in your bag. 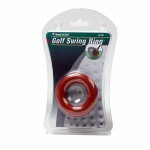 Just fill it with the type of balls that you prefer, put it into your bag and then use it as your source of game balls as well as when you practice your short game. As simple as this golf ball shag tube is, we believe it is a must have for anyone who is going to spend time improving their short game. 23 balls is a strange number. Why not two full boxes at 24 balls? See below to buy the Best Golf Ball Shag Tube! No more bending down to pick up your balls!